I am going to try and explain this as best as I can. Image you carve out white wax letter and put them in a cereal bowl and then roll a couple of really small balls in there, they will shape around the text. I am trying to create a graphic that makes use of circles to wrap around text and form the text. I want the balls to form the letters, and not just use a mask, because I don't want to cut any balls. I attached an example of what I am talking about. Hope it makes it clearer. I am a total newbie with illustrator and just have the picture in my head that I want to create. 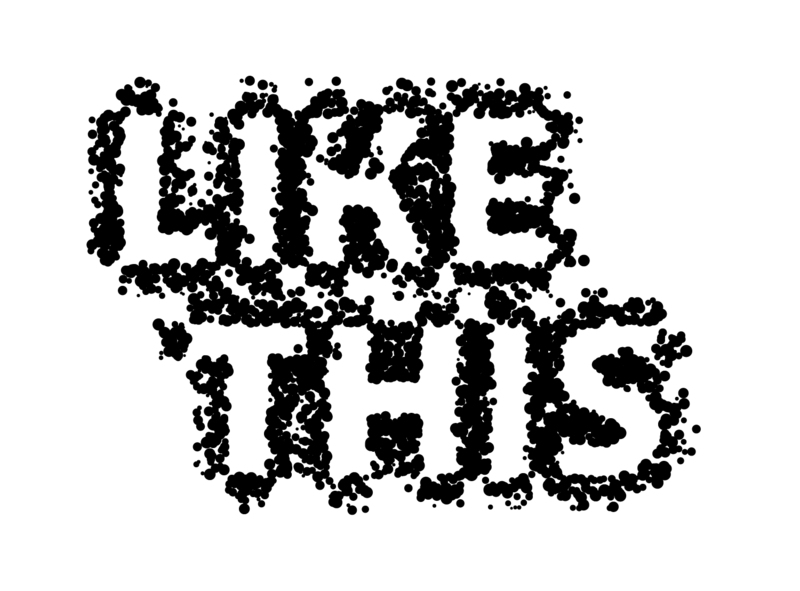 Create a scatter brush of a small black circle with random size and spacing. Also set the scatter to random, but make sure your seed values are 100% or greater. You can then expand the brush and delete any of the dots you don't like (like the one's inside the "K," for example. You could make the balls and the text both compound paths, then use the text to remove from the balls layer, using the subtract path tool. Like you say, this would result in some balls being cut, but then you can ungroup the balls, zoom in and manually remove or replace any cut balls. How to make objects follow a curved path in illustrator? Best way to cut + merge paths in illustrator? How to wrap type around a ring?